The campaign was launched in 50 countries simultaneously and the company expects to reach over 350 million consumers around the world in the first weeks of launch. In Nigeria, the campaign unveiling was at the Federal Palace Hotel, Victoria Island, in the presence of captains of industry, newspaper columnists, among other extraordinary achievers who share the brand’s philosophy on success. The brand celebrated top 100 individuals who have demonstrated the value of celebrating little achievements on their way to higher success. During the global activation, Don Jazzy was chosen as Nigeria’s ‘Joy’ brand ambassador. Other notable personalities around the world were equally chosen as ambassadors. 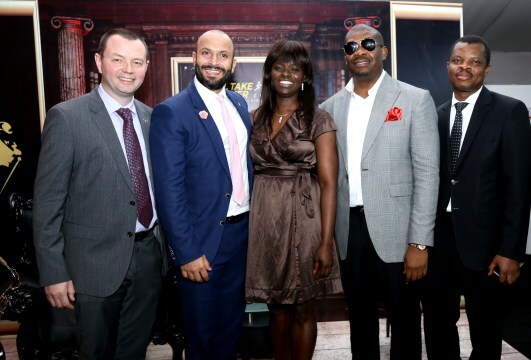 Diageo Brands Nigeria, Mr. Neil Comerford; Head of Reserve, Mr. Joe Nazzal; Head of Marketing, Diageo Brands Nigeria, Ms. Adenike Adebola; Joy Ambassador, Johnnie Walker, Don Jazzy and Corporate Relations Director, Guinness, Mr. Sesan Sobowale at the launch of Johnnie Walker ‘Joy Will Take You Further’ Campaign in Lagos. Other dignitaries present at the launch included Sonnie Ayere of Dunn Loren Merrifield, Tilewa Adebajo, Jacky Hathiramani and Chris Ubosi. 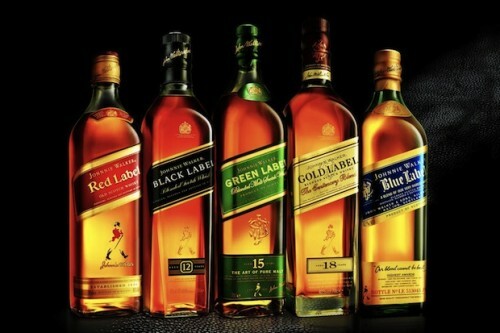 Guests were treated to a taste testing session, where Joe Nazzal, ‘the Head of Reserve’ furnished them with helpful tips on the best drinking occasions for the different Johnnie Walker labels and how it all relates to the new philosophy.